Millennials: What is your long term plan? Millennials, often referred to as Generation Y or Generation Next, are entering the job market at full force. Traditional values deemed important such as, job stability, salary and a record of success are still relevant to this generation. However, more than previous generations they have a sense of self entitlement, competitiveness, and a desire to find the next "big thing." Living in a volatile and un-predictable market has molded a generation where change can occur at any moment. In the past ten years, the job market has changed so frequently that staying at one organization for an entire sales career is no longer a reality. So, do Millennials have a long term plan? Previous generations put a lot of weight on the reputation of the company and job stability. The Millennial generation differs because they no longer have this luxury. Former well known and reputable organizations are closing their doors on a daily basis and are being replaced with start-ups. How do Millennials create a long term plan? First, Millennials have to be aware of disqualifiers when applying for their ideal jobs. Hiring managers are selective, but in this job market they are more selective than in previous years. 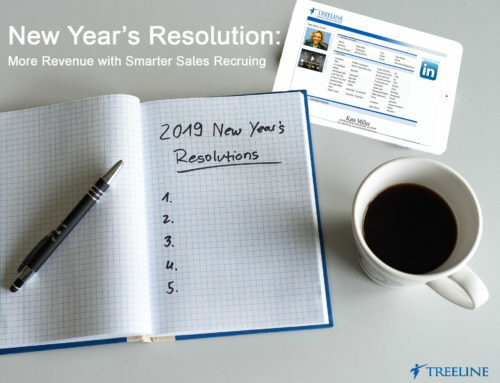 As a recruiter there are always objections that individuals face while looking for a new job in sales such as, having direct experience, their location, the companies culture and of course money. Don't make this mistake: Leaving a sales job because a new opportunity promises more money. Now, don't get me wrong, the more money the better, but does it make sense to leave a firm after 3/6/12 months for a few thousand dollars? OF COURSE NOT! You may not realize it now, but in the long run you will be labeled as a job hopper. Hiring managers look for job consistency and a proven record of success at one or two companies. Therefore, Millennials need to find a company that will allow them to grow and learn within the organization. If you can not be a Manager, Director or VP right away, then what can you do to get there? For an example, you want to break into software sales and you do not have any experience. Success follows this longer term journey and path: Business Development Rep ? Inside Sales Rep? Account Executive? Enterprise Rep? Manager etc. Here is my advice for you: Times have changed and what you have done in the past and the decisions you make can and will have an impact on tomorrow. So before you leap for a few more bucks, make sure you have a plan and know where you want to go! Good luck!